beauty news first ➡️ ARTIS BRUSH getting ready to launch Fluenta Collection at Holt Rentrew, which will be Artis first retail partner in Canada. This is pretty cool and a complete exclusive, definitely pretty sure that I am the first influencer to be informed by ARTIST that they are launch at Holt Renfrew in Toronto and this will be their first retail partner – I’d say that a good first partner to have – wouldn’t you? They will be launching the Fluenta collection which is the newest collection from ARTIS and the nine (9) piece brush set retails for $500.00US and ARTIS was nice enough to send me the two (2) full sets and then some must have items – which I will taking on set with me for Teen Vogue and a national cover shoot. 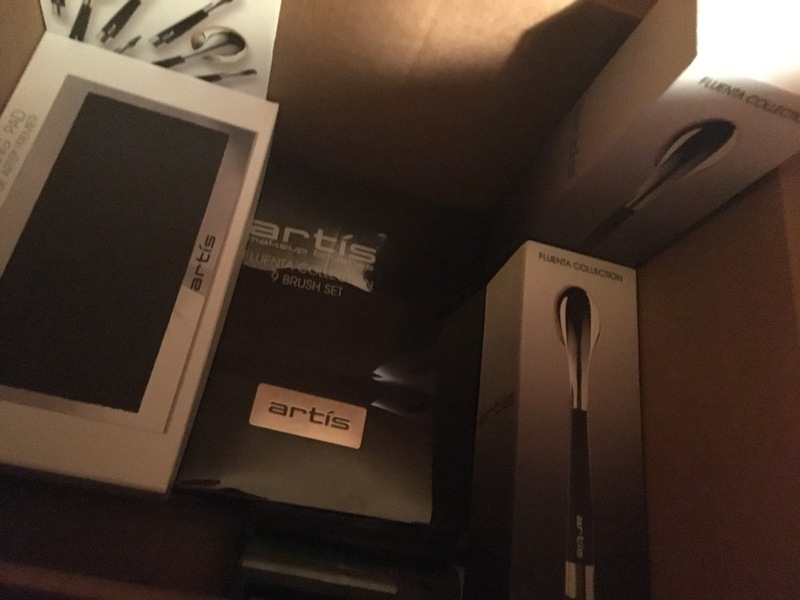 Artis brushes are very luxury brushes and they are on the high end of price but if you really put the research in you will find that what you are paying for is completely worth it, that’s what I’ll be doing for you as you read, learn and experience. uniform application • superior blending • efficient use of product • retains shape better • versatile • helps avoid sensitivities • animal-free beauty • CosmeFibre • chemically resistant • UV resistant • wears longer • gentle • comfortable fit • modern construction • improves self-application • evolved • durable. CosmeFibre is made using high tech manufacturing process that produces completely consistent fibres. 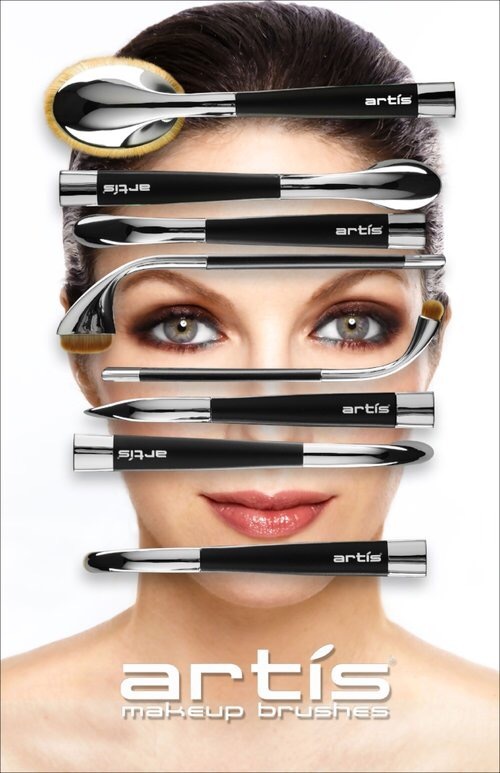 You can depend on the fibre quality of every Artis brush to be the same, no matter when you buy it. The CosmeFibre is then shaped and refined by hand into fibre bundles, and each brush is hand-assembled to create the artisan-quality Artis Brushes. 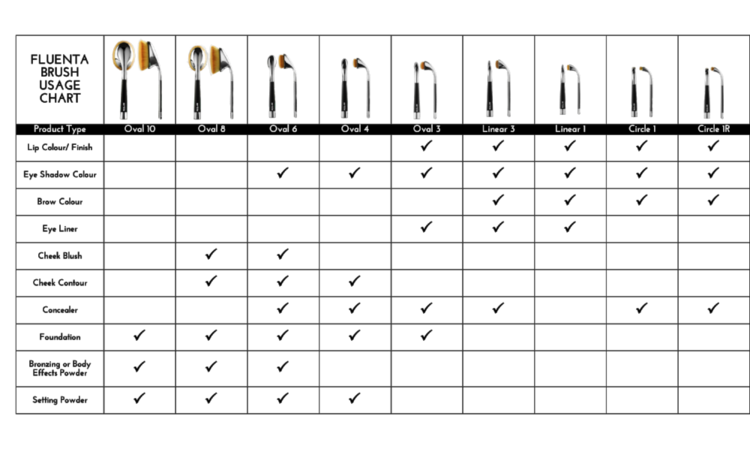 I love this chart above if you’re new to the Artis brushes, where have you been! If you just think they are to much hard earned money – I hear you. 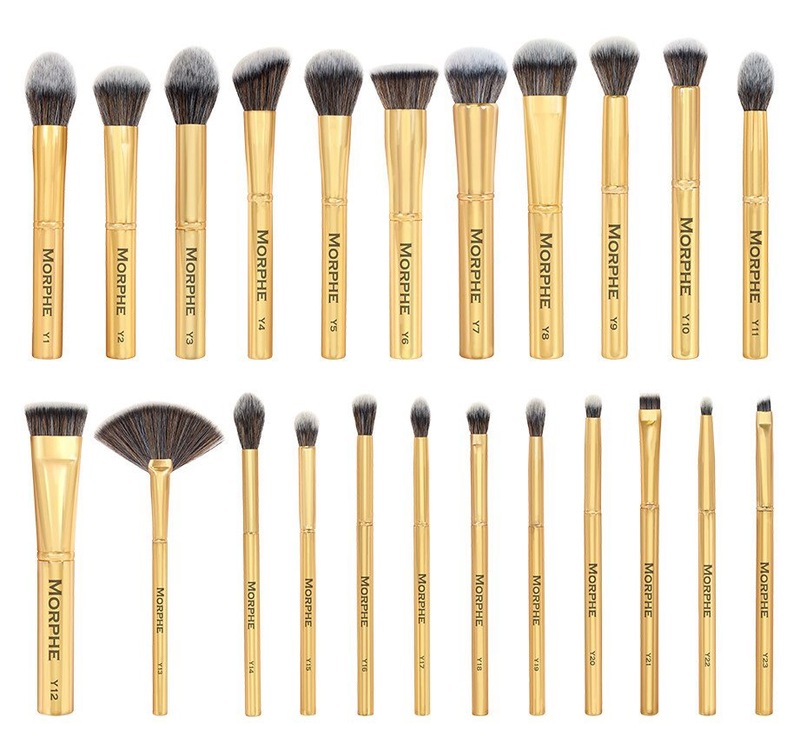 Use the chart above to find out exactly what the brushes are, size codes and uses. DID YOU KNOW ➡️ Artis brushes are made with CosmeFibre® which is a man-made fibre that naturally resists microbial growth. The brushes are stunning and come in beautiful packaging, at first it feels a little strange in the hand but you very, very quickly get used to it and find that you will be reaching for your Artis brush more then your normal brushes, which at first I didn’t even notice. The second you open the box it is, an experience. Since Holts (Holt Renfrew) will be the first Canadian retailer for Artis – which is kinda actually fitting for the brand because it’s more luxury based – I thought I’d give you also just a little more information. I have contacted Holts for information, and how they feel about the new line to he sold at their location and I will update when I hear back! Celebrating a 180-year heritage, Holt Renfrew is recognized worldwide for an inspired shopping experience. Once a purveyor of fashion to Her Majesty Queen Victoria, Holt Renfrew began in 1837 as a modest hat shop. Over the years the brand developed and expanded across Canada. In the 1930’s Holt Renfrew began exclusive accounts with leading European designers and in 1947 hosted Monsieur Christian Dior when he launched his “New Look.” After many years of foreign ownership Holt Renfrew was bought in 1986 by W. Galen and the Hon. Hilary M. Weston. Under their ownership Holt Renfrew has become Canada’s destination for luxury retail. Of course I will be doing a full brush review and taking you on set with me! That will be coming very soon as well as the UNBOXING make sure you follow to be update when the post changes. For more information about Artis please click here. If you’d like more information about Holts click here. At a point, some of us makeup lovers take our obsession with beauty and cosmetics to another level and make it our career – professional makeup artistry. Of course, you won’t want to use your own tools and cosmetics on clients so this is where your freelance makeup kit comes into play – I remember when I first started out with makeup I would get so many different brushes because that how I would apply makeup to myself but really you don’t need to carry that many makeup brushes but it’s a good idea to carry doubles and always clean them good after a shoot or using them on a client because you will be using those brushes in places where infection can spread and you don’t want to be the cause of pink eye outbreak at the local prom, now do you? Hygiene is very important. You’ll need to make sure you have brush care inside of your case and at home a brush shampoo to give them a good wash. A lot of the brand I’m going to be talking about do sell both, naturally. You also need to keep in mind that there is a big (huge) difference between inexpensive and cheap – do it right the first time. The Beautyblender® which sells for twenty dollars ($20.00) and you can grab from any Sephora – they also sell in sets so that you can have multiples like I mentioned above. 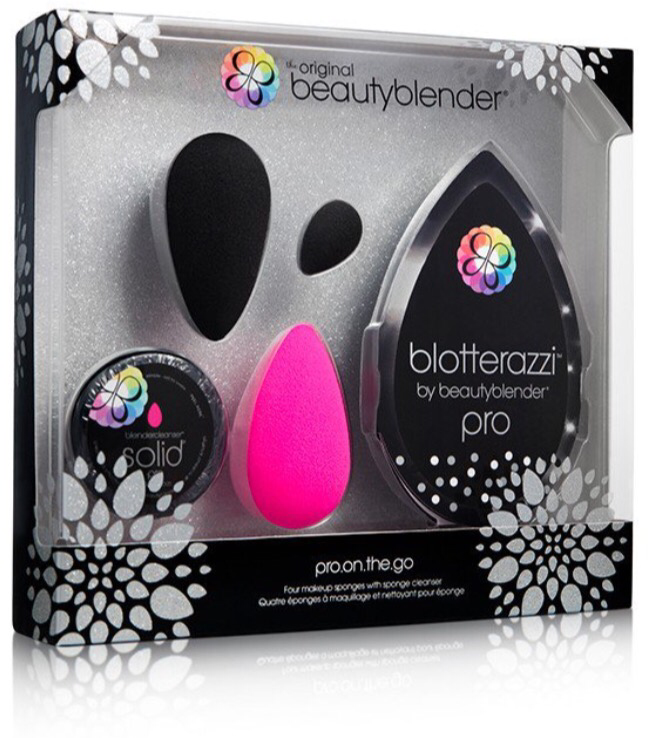 The Beautyblender® is perfect for all kinds of makeup application so that you wouldn’t even think off. PRO TIP ➡️ use the Beautyblender® to lightly pull down the water line to apply eyeliner so that it’s more comfortable for who you’re working on and gives you more control. And also makes it look like you’ve been doing it for years. When I first purchased BB I bought it in a set when they came out with the Blotterazzi™ which is another perfect product to use a shield between your skin and the clients. And the kits come with the beautyblender micro.mini pro for laser sharp focused contouring, highlighting, concealing. DON’T FORGET ➡️ beautyblender® is easy to use: simply wet.squeeze.bounce. 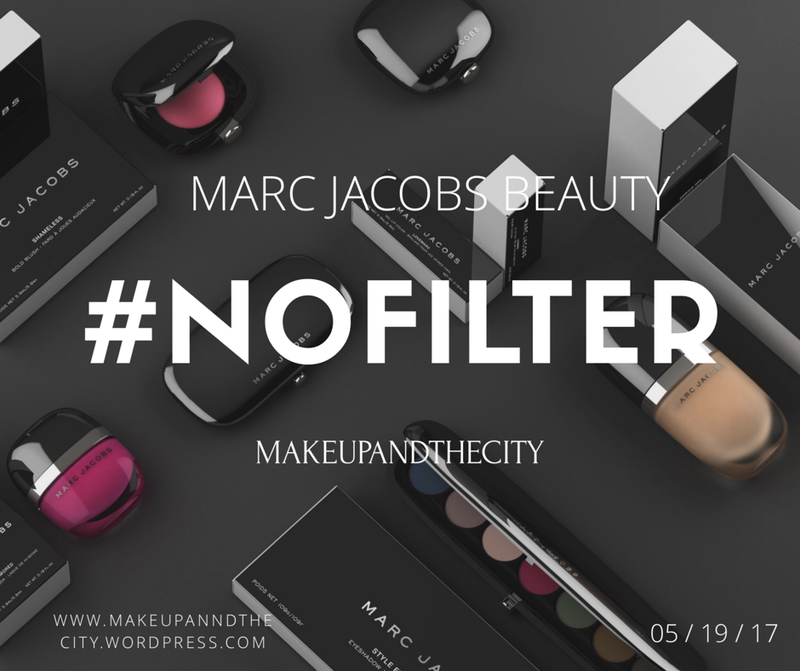 your way to makeup perfection! Right there I would say you pretty much have complextion flawlessly beat to the gods. Beautyblender® is goof proof. Not saying there is anything wrong with being a little goofy – makeup is all about art and exploring, trying new things and with Beautyblender® you’ll have bouncy ride. Having Beautyblender® in 2017 is an absolute must in my professional opinion, it’s one of the smartest forms of complextion perfection. 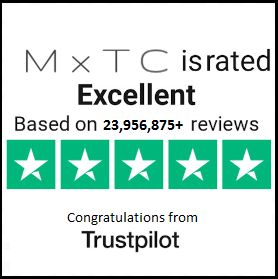 One of the brands that you will find most beauty and life bloggers and social influencers talking about is Morphe and yes that is probably because they want you to use their code where you get fifteen percent (15%) too twenty five present (25%) off which is good on someonthing with an already low cost but I’m not going to include my affiliation link so you because it’s not about collecting a commission at the moment it’s about quality and Morphe does have high quality products (you will see some more Morphe products in future Starting your own™ posts) In order to truly get a feel for what about the line makes every blogger loose her chill, I set out to test every single brush from the Elite II collection. All 61 of them. I spent days making my way through the pack, loving every single second of how the vegan bristles swept my makeup on like it was air. There’s no freaking way not a single one of these is more than twenty three dollars ($23), I thought. And yet, I’d double check the website and prove once again to myself that this was in fact true. Plus, the total cost of them comes out to one hundred and sixty dollars ($160.00) which is around the same price of just one (1) of the designer brushes. You can’t beat these for the price, so I won’t keep trying. The gold handled Gilded Collection has to be on of the best collections. The twenty three (23) piece set includes everything needed to create a full face makeup look. This complete set covers it all-correct and set, blend and shade, or highlight and contour. Perfect for any budding makeup artist or seasoned professional. Now – you don’t need to buy the entire collection although I would because it’s great value and like I did mention beauty bloggers do have code to save you even more money – so please comment if you’re interest and I’ll tell you my code or use MannyMUA or LauraLee – both amazing and talented. This brush set includes Y1 – PRECISION POINTED POWDER, Y2 – TAPERED POWDER, Y3 – PRO POINTED POWDER, Y4 – DELUXE ANGLE BLUSH, Y5 – PRO TAPERED BLUSH, Y6 – PRO FLAT BUFFER, Y7 – ROUND BUFFER, Y8 – MINI TAPERED HIGHLIGHT/CONTOUR, Y9 – DETAIL CONTOUR, Y10 – MINI DETAIL CONTOUR, Y11 – DELUXE POINTED CONTOUR, Y12 – PRO FLAT CONTOUR, Y13 – PRO HIGHLIGHT FAN, Y14 – PRO DETAIL HIGHLIGHT, Y15 – DELUXE ROUND BLENDER, Y16 – DELUXE FLUFF, Y17 – DELUXE DETAIL CREASE, Y18 – TAPERED BLENDING FLUFF, Y19 – POINTED BLENDER, Y20 – PRO ROUND CREASE, Y21 – FLAT DEFINER, Y22 – DETAILED BULLET CREASE, Y23 – PRO ANGLE LINER and most if not all of these brushes are available on their own for no more then ten dollars ($10.00) as a new artist this would be the set of makeup brushes that you would need or pick and choose to create your own little set! There is also 10 PIECE DELUXE SET which has a couple face brushes but mostly focuses on the eyes but that’s why we have the Beautyblender® for complextion perfection! Natural hair brushes are one of the most popular options in makeup for their perfect combination of firmness and softness that create flawless blending. 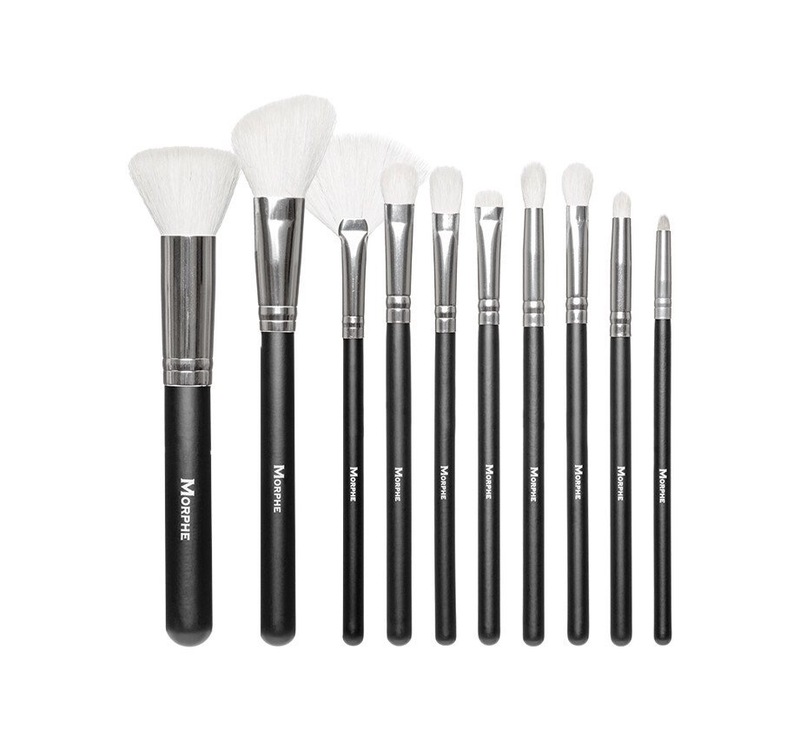 This ten-piece set includes gorgeous and versatile brushes for face and eyes with high quality natural bristles. It’s all kept in an faux ostrich snap case for easy travel. Flat Bronzer Brush, Angle Blush Brush, Soft Fan Brush, Eye Shadow Fluff Brush, Precision Eye Shadow Brush, Blending Brush, Crease Blender Brush, Smudge Brush, Crease Brush, Bullet Crease brush. So there are lots to choose from out there just make sure you do your research and find what works best for you and you almost ready MUA kit! But Beautyblender® is a must for complextion perfection. SIDE NOTE ➡️ Don’t forget to dampen your Beautyblender® for maximum performance and keep it clean.